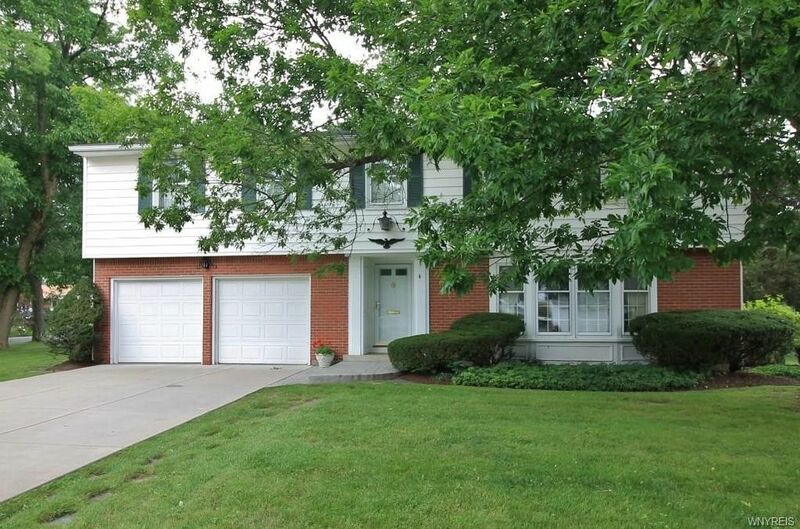 Elegant "Pearce & Pearce" traditional home located in the Williamsville School District. This traditional Village Green residence is being sold by the original owners. Some of the special features included in this 2726 sq ft immaculate home are: Hardwood floors throughout, 2 fireplaces, one in living room and one in family room, huge bedrooms and large walk in closets, spectacular corner lot surrounded by lovely white picket fenced, roof 2015, furnace & air approximately 10 years, full house generator, covered deck with awning, finished room in lower level, slate foyer & so much more!